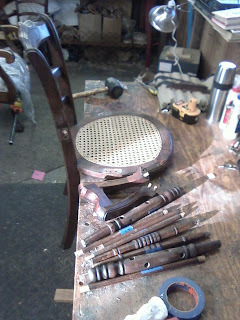 Upon returning the two Gustave Stomps chairs I recently worked on I was presented with four more which were in need of gluing. In addition, two were missing a piece that is applied under the front of the seat of the chair. the customer had one, which I used as a template to create the second. 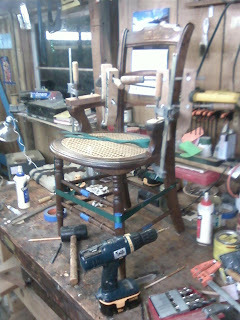 Her are some photos of the piece being made as well as some photos of two of the chairs being glued. 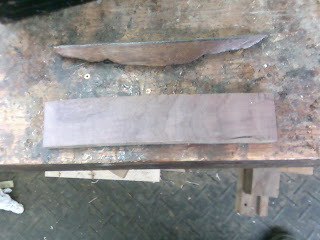 The blank cut on the band saw. the piece has a curve to it that matches the curve of the seat. the wood here is Walnut. 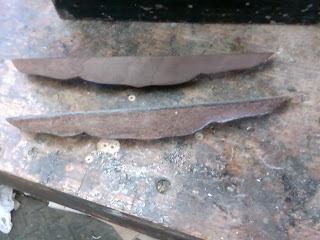 The piece (on the top) after it has been cut to resemble the template piece. 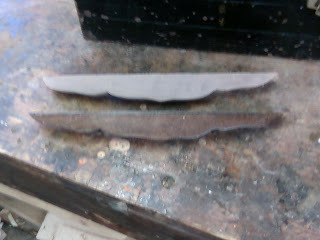 The piece (on top) after it has been stained. 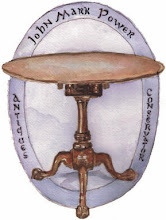 One of the chairs disassembled for cleaning of the joinery. 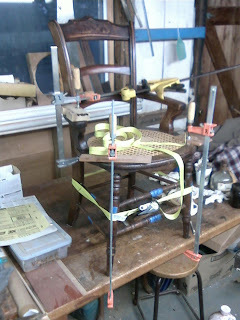 The above chair being glued up. A second chair being glued.